No politics. No advocacy. Just boots-on-the-ground work. That’s the motto of the Selway-Bitterroot Frank Church Foundation, a nonprofit wilderness conservation group based in Idaho and Montana, about which Rocky Barker (former PERC media fellow) writes in the Idaho Statesman. 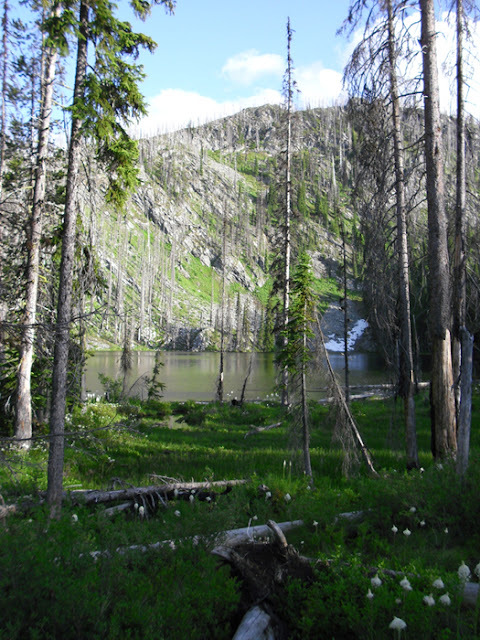 The group focuses its efforts on protecting two wilderness areas in Idaho: the 1.3 million-acre Selway-Bitterroot wilderness and the 2.3 million-acre Frank Church-River of No Return wilderness. “They’re taking care of what they’ve already got instead of asking for more,” said Idaho County Commissioner Skip Brandt. The foundation’s staff, interns and volunteers have rebuilt and cleared hundreds of miles of trails, cleaned up hot springs and campgrounds, and helped clear invasive weeds from acres of wilderness. In 2010 alone, they cleared 49 miles of trails, removed 37,000 pounds of trash and restored or eradicated 146 campsites. The foundation managed 13,353 hours of volunteer work that would have otherwise cost the U.S. Forest Service $278,410. The amount of land designated as wilderness has increased in recent decades, but funding for wilderness land management projects has often lagged behind. Wilderness areas now make up nearly 20 percent of federal public lands, but only 1 percent of the Forest Service budget is spent on wilderness management projects. Volunteer groups like the Selway-Bitterroot Frank Church Foundation help fill that void. Some contend that such work causes federal agencies to ignore their management responsibilities under the 1964 Wilderness Act. But consider the costs of providing management for trail systems, campsites, and invasive species in wilderness areas. The Wilderness Act largely forbids the use of power tools, motorized vehicles, helicopters, etc. As a result, routine management is labor intensive, costly, and is often left undone. By focusing on results instead of rhetoric, the Selway-Bitterroot Frank Church Foundation is finding ways to improve wilderness lands without promoting more government, and that should be applauded. In the process, they are proving that effective conservation doesn’t simply mean advocating for more public land, but protecting the lands that are already set aside.